A weekly film and entertainment show featuring interviews, film reviews, and topical movie information. Gordon created the educational infrastructure the Foundation for the Advancement of African-Americans in Film (FAAAF) in 2004. With a mission to target, identify and prepare candidates who will represent the next generation of filmmakers and potential film executives, FAAAF introduced two programs, Reel Kids, and the Producer’s Institute to continue with the important work of redefining our “reel images” for the next generation. In 2008, he created the movie brand, “FilmGordon” consolidating his film content and social media platforms under one umbrella. In 2013, Gordon joined the nation’s largest film critics association, the 350-member Broadcast Film Critics Association (BFCA). He fulfilled a lifetime dream when he partnered with Howard County, Maryland to create the Lakefront Film Festival, which launched in the Summer of 2017. 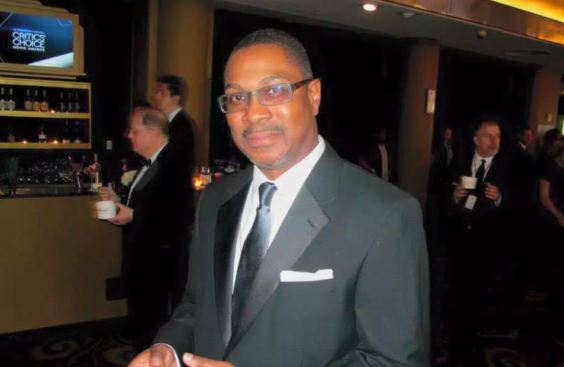 Currently, he hosts the weekly film show, Keeping It Reel with FilmGordon on 96.3 HD4 on DC Radio. His work has also appeared in USA Today, Variety Magazine’s prestigious Bureau of Film Critics, and has been a guest on NewsOne with Roland Martin, BET Tonight with Tavis Smiley and BET’s Screen Scene and Howard University’s Evening Exchange (WHUT-TV) and the WHUR’s The Daily Drum with Harold Fisher.